Home Special Reports BIM Reports The continual development of BIM: How can your firm utilise it? BIM is slowly beginning to permeate the industry. It is surrounded by a Government strategy background and a long timeline of development, but it is here and happening now. Like our industry itself, BIM is also in continual development. Level 2 is already here and we’re on the path to Level 3 – it’s a process of continuous innovation. 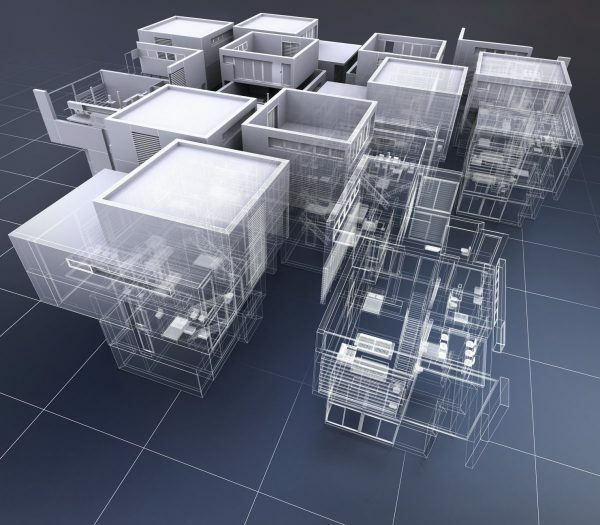 The question of “What is BIM?” is really an exercise in evolving our understanding as time goes on. It needs to be accepted that BIM encompasses a range of different things related to delivering a constructed asset to a client, and then the ongoing lifecycle of that asset, through to end-of-life. This includes the use of software, working in collaboration with others, management of information, and much more. For many businesses in the construction industry, a good starting point is to recognise that you are involved in the CAPEX (capital expenditure) and OPEX (operational expenditure) phases for constructed assets. I choose to use the term constructed assets to capture a broad spectrum of assets like: buildings, highways, flood defence systems, utilities and communications infrastructure. If you build/construct something for a client then your input is recognised by BIM. Whether you are a surveyor, designer, builder, installer or manager, you are still the specialist in what you do. This is important because the information collected and shared by you during the course of your day-to-day jobs is incorporated in the overall BIM process. BIM encourages the construction industry to use this information by way of collaboration. This collaboration involves different individuals requesting and sharing information to achieve the organisational and project goals. This is not necessarily a new concept for the industry, except that BIM places an emphasis on sharing information and data electronically by way of a single repository that is available to the client. BIM doesn’t ask the industry to reinvent the wheel. It’s not about changing what construction is, rather changing how it’s done. The Government mandate for BIM Level 2 on public sector construction is framed by a number of different standards. A lot of these are daunting and quite complex, but the key is to establish what is relevant and what needs to be done to future proof your business. Certification is one way in which you can gain the understanding and benefits of BIM for your business. The aim of business certification is demonstrate that you have the organisational and project capability to deliver information in accordance with BIM requirements. If this is done properly you will be looking at a situation where internally you know what your business is capable of with respect to BIM and you will be able to confidently outwardly communicate that. It’s not about gaining a certificate, it’s about evolving your business. Simply put, BIM Certification helps you win work! The information about your business which is gathered and maintained under BIM Certification can be used on a daily basis. It becomes the basis for your procurement and tendering activities to demonstrate your knowledge and capability with respect to BIM. Your tenders will be more robust and at interview you will be able to more confidently portray your services in the context of BIM. BIM Certification will instruct your business to understand and interpret the documents which are relevant to BIM in the course of a project – and specifically to determine your role in the process. One article cannot explain BIM and there’s no magic bullet for compliance. At Stroma Certification, we’ve spent the past decade assisting the construction industry in dealing with changing legislation and capitalising on associated opportunities. Make no mistake, BIM is a huge opportunity to achieve efficiencies, reduce costs, generate income and win work. That’s why we’ve provided BIM Certification and training, to help your business prepare for the future of the construction industry.